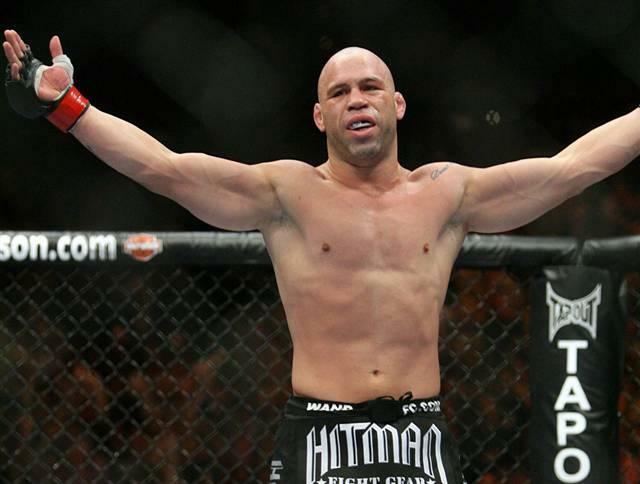 Mixed martial arts (MMA) legend Wanderlei Silva is best known for his ruthless nature inside the Pride fighting ring. When he’s not training at his gym or helping his son follow in his footsteps, the Brazilian Ultimate Fighting Championship star, who went by the nickname “The Axe Murderer” during his Pride career, spends time with a controller in his hands. Silva is one of over 150 fighters in the new UFC Undisputed 3 game, which incorporates Pride and it’s “no rules” fighting style for the first time. He talks about going virtual in the new game and also explains how he uses UFC: Personal Trainer to help his son train in this exclusive interview. I have played all kinds of games from Atari to Mega Drive to Nintendo. I tried to have everything, but I was a poor kid. At first, I didn’t have video games and I played the pinball machines in stores. After I started making money, I bought the videogames and I love to play them. It’s fun. Now I play with my son, who is eight years old. We have the Xbox, the Wii, and the PS3. What do you think about how far games have come since the Atari games? The games have come so far. Now it’s like you’re playing with real people. It’s unbelievable. What’s it like for you to actually see yourself in the new UFC game? It’s awesome. I play with myself and look at my face, my voice, and my movements. That’s a really cool game. What are your thoughts about how they’re progressing with the UFC Undisputed game franchise? It’s great, especially because game 1 and game 2 were a little complicated to play. This game is more simple for you to go to the ground and for you to come back and stand up. They changed the controls and you can do this like real fighters do. It’s blow by blow. In Pride mode, you can kick on the ground and fight under different rules. It’s a real cool game. 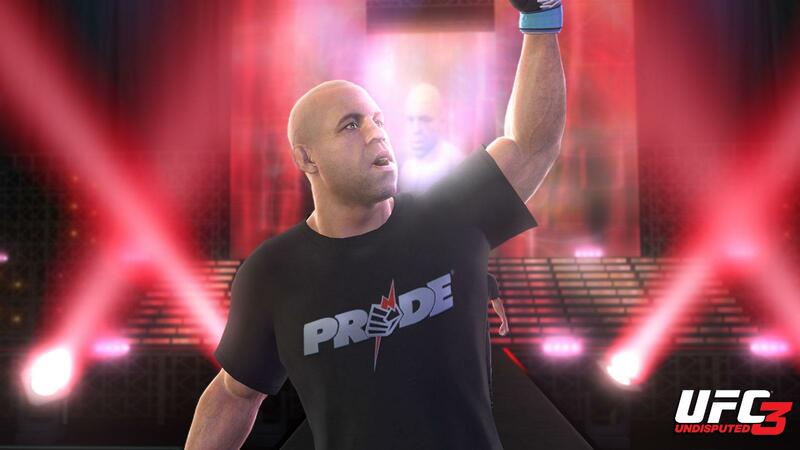 What do you think of Pride being incorporated into UFC 3? That’s great for guys who never saw Pride. A lot of guys just saw it on the Internet because that’s old times. It’s cool because there are different rules, different fighters, and you can bring the view of the guys’ fight in private rooms. Are you happy with how you fight in the game and your player stats? Man, I’m so happy because my character is so strong. He is so aggressive. I know a lot of guys play with my character. If someone is going to play as your character what advice would you give to them? Clench! That’s a strong point. How popular are videogames amongst the UFC fighters and how popular were they with the Pride fighters? Games are really, really popular. I think that for the new one that you’re going to have more. They’re going to see much more interest. You can play Pride fighters against UFC fighters. It’s like you have two games in one with different rules and different organizations. That’s going to be the more interesting thing. What role do you see these video games playing in helping to grow MMA? Just like I want to do for my son, I want to push my son to train and sometimes he doesn’t want to go. I say, “Man, let’s go, let’s go.” And we play the game. We play together because it’s two players. Sometimes I let him beat me and sometimes I try to beat him. It’s good for us to play together. I show him in the game the training and the movements that the characters do, it’s the same thing when I train him. This is making the sport popular with kids who are growing up and they can go to watch UFC. Some people play the videogames, but they don’t watch the events. But after you play, you start to watch the events and many of them start to practice martial arts. Speaking of training, there’s also a UFC Personal Trainer game. What role can that play in keeping gamers in shape? It’s interesting. I was interested in that from the beginning. I’ve seen a lot of guys play that who go to the gym. I have a gym in Vegas and we see guys start to practice individually with the game, and then go to train in the real martial arts. Does your son play UFC Personal Trainer as preparation? Exactly. Because you look at the character through the movements and after you train you remember, “Man, I’m doing this just like the character in the videogame.” And the kids love that. What are your thoughts about Kinect, Wii, and PlayStation Move getting kids off the couch and working out? That’s great because we need to try to get kids moving. When they’re playing games, they try to practice and do something for their body because it’s fun and in the moment, but it’s bad for the body to sit there. So we try to bring these guys off the couch and going to the gym. What was it like to walk out there and be part of that Pride experience? That was awesome. Of course, there I’m fighting my best. There are 90,000 people and with all the sound and lights. Sometimes they put guys on fire. That is a weird sensation.